This paint trick for a dark room is a great way to brighten up a dark space with just a few words to the person at the paint counter. As much as I loooove our porches on the outside of our house (we have 3!) it really takes away from our natural light. Especially in our kitchen. I found out a trick a little while ago when we did our bedroom makeover. I found a paint color I loved, but it was just too dark for our room. I asked the person at the paint counter to lighten it by 50%, which means that they only use half of the pigment. I LOVE Revere Pewter in our house. It looks different in every room, but it always looks good. It’s a true “greige” (gray/beige) without any funny undertones. 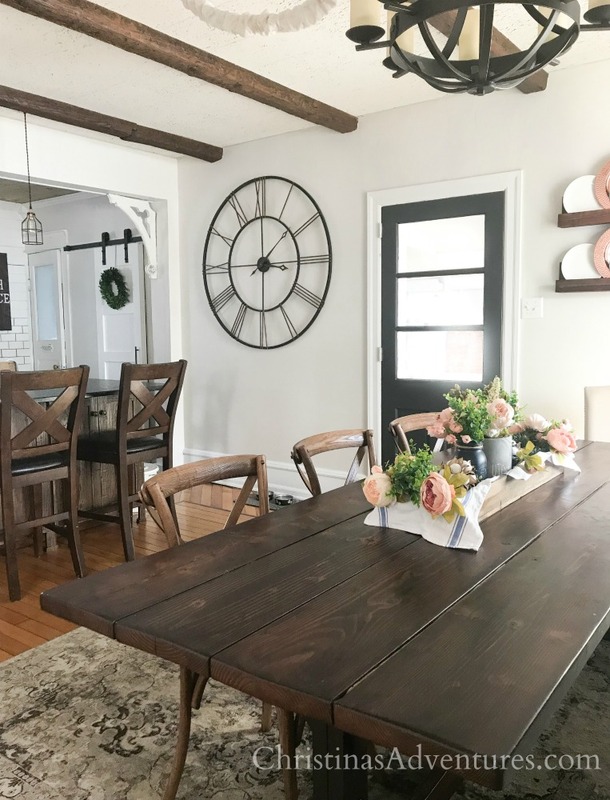 See all of our modern farmhouse paint colors in our home here. Butttt I was a little worried it was going to be too dark in our dark kitchen. 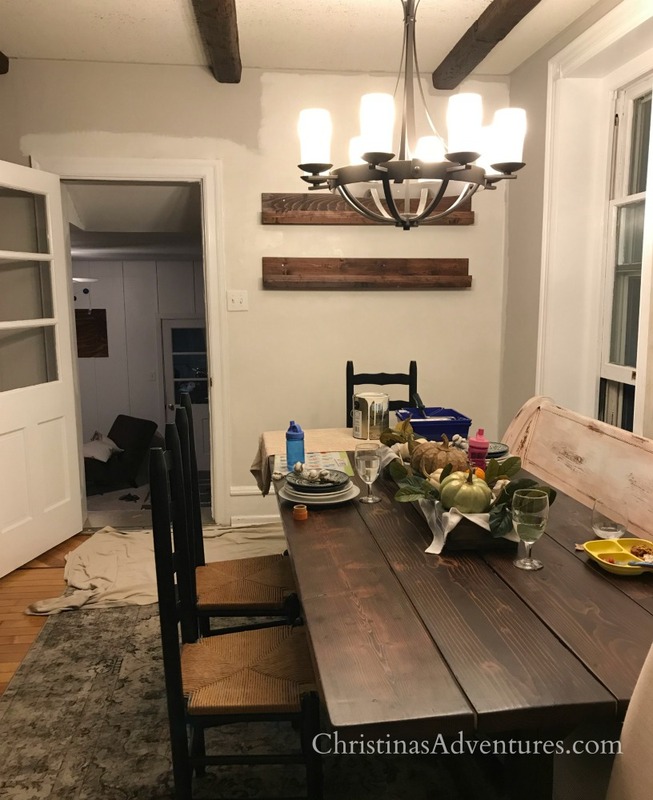 So how do you use a paint color you love – but might be too light in a dark room? All you have to do it ask the person at the paint desk to lighten up your paint by a certain percentage. 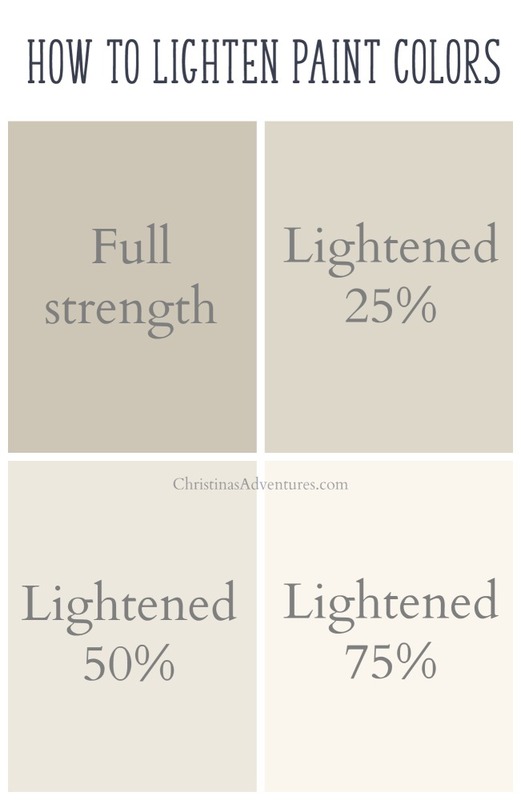 When they lighten a paint color 25%, they use 75% of the pigment, etc. It will still keep the same undertones of the full strength color, but will just be lightened up accordingly. I ended up lightening up Revere Pewter by 75%. I figured I might as well be “bold” and lighten it up a lot! I really wish I had some fun finished pictures for you – but…not yet. Right now I’m just painting at night while my kiddos are sleeping and doing it one section at a time. And just LOOK at how well it turned out! We’re so happy – the lightening of the Revere Pewter was just what this room needed! See the whole finished space here. What a great tip!! Our house is also darker because there are so many mature trees outside our windows, plus a big sunroom on the back of the house. So I tend to go with beiges to keep walls light. But this might be a good way to get color, but lighter. Thanks for the tip! This is a great tip! Can’t wait to see the reveal.